CEMI and Rio Tinto recently completed a 6 year program called, the Rio Tinto Centre for Underground Mine Construction (RTC-UMC) at CEMI. This $10M investment in Canada’s mining innovation was created to undertake research in support of Rio Tinto’s Mine of the Future™ programme with a focus on underground mining infrastructure and footprint reliability. This state-of- the-art research and knowledge centre played a role in the development and implementation of innovative step-change research and technology development for underground mines, designed to minimize delays and create value through speed and geo-risk mitigation. The results of this collaborative centre have set the stage for large-scale mining operations, now and in the future. Since being established in December 2010, the RTC-UMC interacts and collaborates with academics, consultants and representatives from a consortium of Rio Tinto operations worldwide. The Centre has engaged an outstanding, globally networked solution team such as Itasca Consulting Group; Golder Associates; SRK Consulting; Aker Wirth; Atlas Copco; MIRARCO; Laurentian University; Queen’s University; Universities of Arizona and Toronto; University of British Columbia, Delft University, The Federal Technical University of Zurich, and many others. 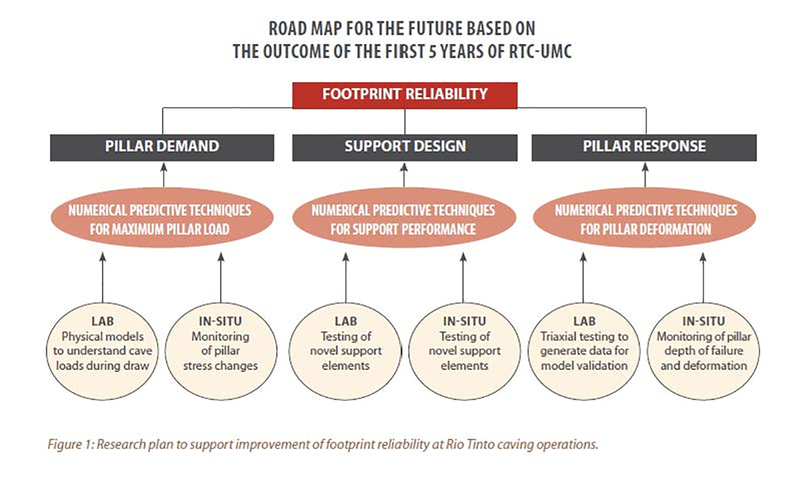 The Rio Tinto Centre for Underground Mine Construction (RTC-UMC) has been focused on three core areas essential to the success of large-scale mining operations: 1. Ground Control in Mechanized Excavations; 2. Characterization of Rock Mass Quality and Strength in Deep, Massive, Veined Orebodies; and 3. Development of Innovative, Efficient and Effective Support Systems for Increased Footprint Reliability. The highlighted achievements fall into six themes: 1) mechanised excavation, 2) rock mass characterisation, 3) support systems, 4) rockburst control, 5) foot-print reliability, and 6) complementary studies. 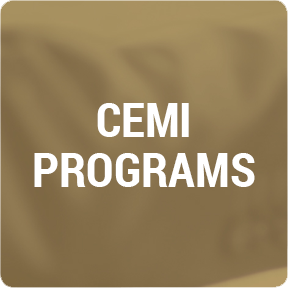 A summary of some of the objectives, achievements, and practical implications (value) can be found within CEMI’s 2016 Annual Report. RTC-UMC has contributed to some exceptional technical advances as well as made significant contributions to skill and HQP development. The safety impact potential of the research products is high, the program had significant innovation content, some aspects have significant immediate and long-term value, and the risk mitigation impact with respect to foot print reliability is high. The three most outstanding geotechnical achievements with high impact potential are related to rock mass strength determination, deformation-based support design and cave loading for pillar design.